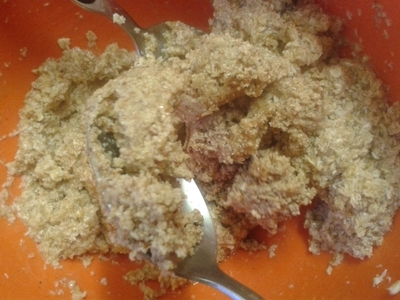 Almond butter in anything is delicious. 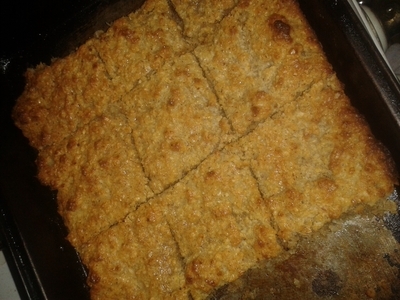 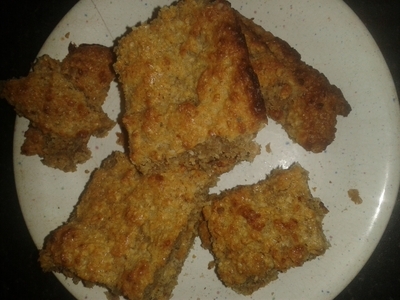 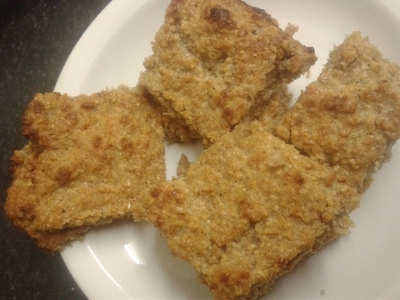 Baked it adds a nutty depth similar to peanut butter, but with less salt and fat (the perfect oaty treats for kids then). 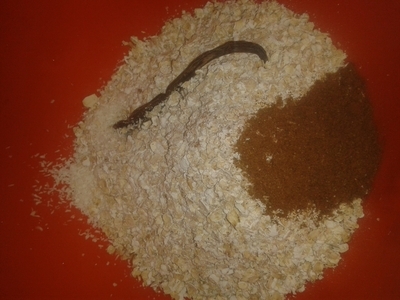 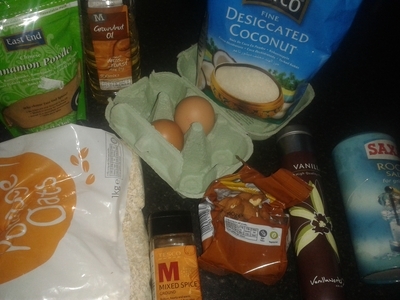 Add the oats, vanilla, dessicated coconut, cinnamon and mixed spice to a large bowl. 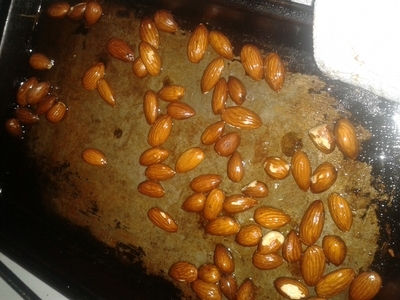 Roast the almonds with a glug of oil in the oven for 10 minutes at 180 degrees/gas mark 6. 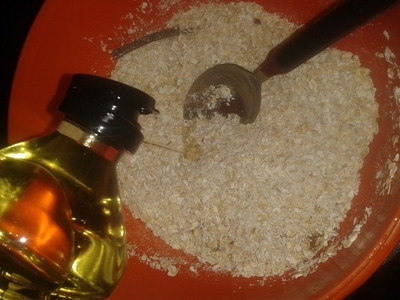 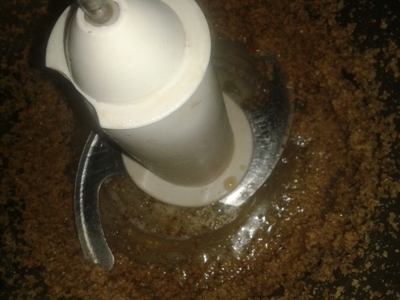 Transfer the nuts to a food processor along with the fruit sugar and combine until smooth (pulse at least 3 times). 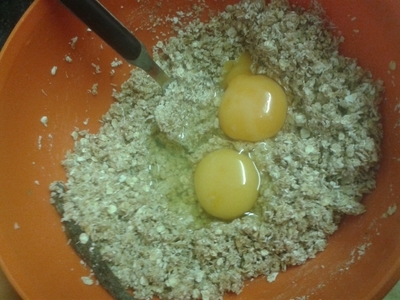 Add the almond butter to the mixture. 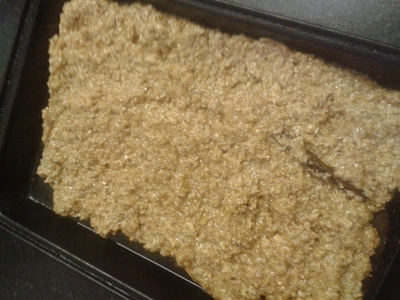 Spoon the mixture into a greased baking tray and place in the oven for 18 minutes (middle shelf), at 180 degrees/gas mark 7. 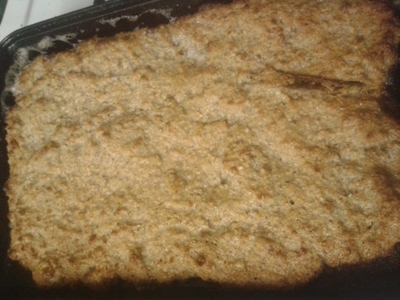 Remove the tray from the oven and allow to cool for 2 minutes.